Fourth of July: Patriotic Looks! 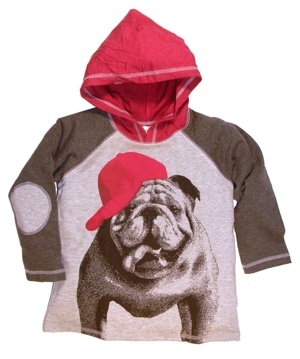 The Boy’s Store wants your boys to be prepared for the most patriotic day of the year! That’s why we are highlighting some of our coolest patriotic looks just in time for the 4th of July. We have some of the best shirts available now from some of our favorite brands like Mulberribush, CR Sport, and Dogwood. 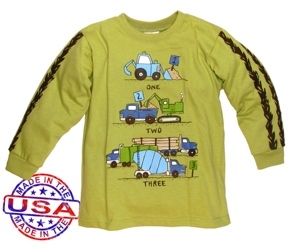 American Flag Shirt by Mulberribush: this fun shirt by Mulberribush is reminiscent of the Captain America uniform. 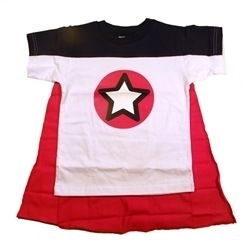 With its red, white, and blue star screen print and cape your little guy can feel like a true Avenger in this great tee! 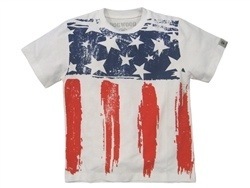 American Flag Shirt by Dogwood: this white tee features a brushed on flag. The red, white, and blue never looked so good. Your boys will be sporting the great colors on this great day while still staying cool and comfortable. They will be the star of the BBQ. American Guitar Polo Shirt by Dogwood: American’s love music, and they love their country, and when the two come together they create a fabulous rock n roll tribute that can make even the toughest crowd cry. 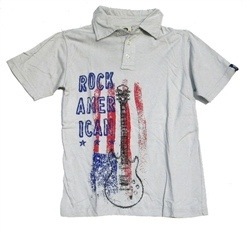 Rock n roll and America just go together, that is why this great short sleeve polo is so fabulous, it pairs guitars, rock n roll, and America all in one great look. 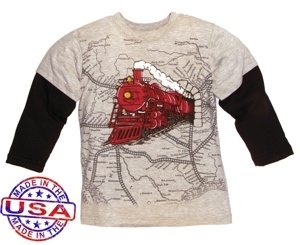 Baseball American Flag Shirt by CR Sport: baseball is America’s favorite pastime. So why not pair the America flag with the greatest sport ever. This tee features the American flag made out of bats, and balls. 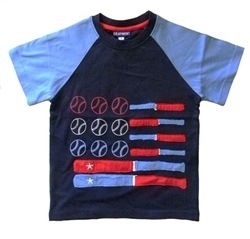 Your little baseball fan will surely be sporting the most patriotic look this 4th. Hurry in now to get these great looks before the 4th! 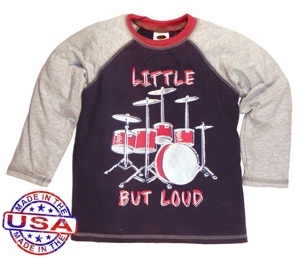 This entry was posted in boys clothing and tagged 4th of july, american looks, boys clothing, boys tshirts, CR Sport, Dogwood, fourth of July, Mulberribush, patriotic style, the boys store on June 28, 2014 by Lacy.